Prior to coming to the Bar, Stuart had already established a successful career in the construction industry. Having worked for a professional quantity surveying practice, a main contractor and been a director of a major sub-contractor, he then established his own quantity surveying practice. Stuart is therefore able to combine his practical knowledge of the industry with his legal expertise to provide practical legal advice. Stuart Kennedy is recommended in Band 2 of the International Arbitration:Construction/Engineering: London of the Chambers and Partners 2011 Directory. ‘Stuart Kennedy of 3 Paper Buildings also takes his place in the table for the first time in recognition of the significant practice he has developed in this area. His practice is cross-jurisdictional and he recently acted for the claimant in a dispute with the Hong Kong government’. Stuart has a First Class Honours degree in law and won the Barstow Scholarship on the Bar Course at the Inns of Court School of Law. The Scholarship was awarded for obtaining the third highest marks out of over 700 candidates, a feat all the more remarkable as Stuart was studying on the part-time course whilst working full time! He has long been involved in resolving construction disputes as quantity surveyor, an adviser/advocate and as an arbitrator/adjudicator. He was appointed to the Panel of Adjudicators of the Chartered Institute of Arbitrators in 1997 and the RICS Panel of Adjudicators in 2000. He is a member of the Worshipful Company of Arbitrators. Stuart has been involved in a number of international projects including the new Hong Kong Airport and the new airports in Oslo and Athens , as well as other projects in Europe and the Middle East . In June 2001, Stuart was called to the Bar of St. Vincent and the Grenadines. Stuart Kennedy's practice as a barrister naturally focuses on construction, where he acts as an advocate in litigation, arbitration, adjudications and mediations. He regularly accepts appointments as an Arbitrator, Adjudicator and Mediator, either nominated by one of the Appointing Bodies or by agreement between the parties. 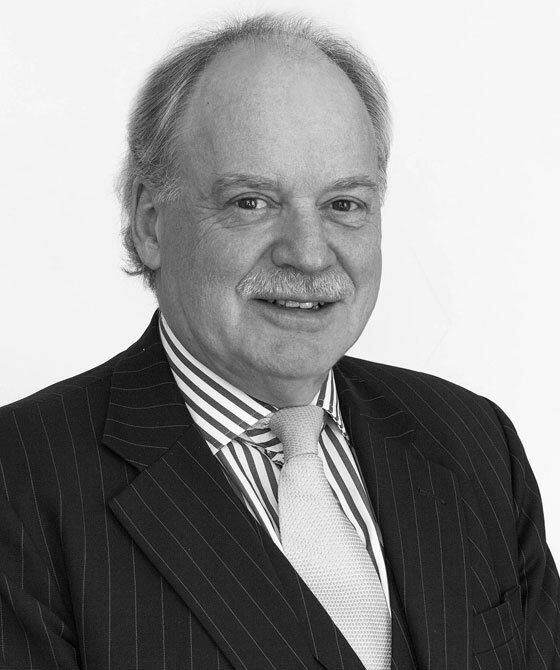 He is a Fellow of the Royal Institution of Chartered Surveyors and a Fellow of the Chartered Institute of Arbitrators, and a member of TECBAR, the Society of Construction Law and of the Western Circuit. He also lectures at conferences and seminars. As well as dealing with a wide range of building disputes, Stuart regularly acts for and against surveyors, architects and engineers in Professional Negligence claims. Stuart is able to combine his legal knowledge with his first hand practical experience of the construction industry to excellent effect. As a Fellow of the Royal Institution of Chartered Surveyors and a Fellow of the Chartered Institute of Arbitrators, Stuart is familiar with the role of Professionals and the standards they should work to. “construction – what he doesn’t know is not worth knowing” (Instructing solicitor). Glencot Development and Design Co. Ltd v Ben Barrett & Son (Contractors) Ltd  BLR 207. Trustees of Stratfield Saye Estate v AHL Construction Ltd  EWHC 3286(TCC). Palmac v Park Lane Estates Limited  EWHC B1 (TCC). Stuart Kennedy is recommended by the Legal 500 Bar Directory 2018/Construction - leading juniors. [He] Advises on a range on high-value construction claims both domestically and internationally. His international practice spans the Caribbean and the Middle and Far East. Strengths: "He knows the construction industry backwards because he was a surveyor." "He's very practical in the way he approaches the work." Stuart Kennedy - A well-regarded practitioner who heads the technology and construction group at the set. Also a chartered quantity surveyor, he acts in domestic and international litigation and arbitrations. Expertise: "He has a very practical approach and understands the nature of the construction industry and the difficulties associated with it." Stuart Kennedy - A qualified quantity surveyor who both sits and acts as counsel in arbitrations. He has handled claims related to cost disputes, defective construction and value of work done. Expertise: "He is very perceptive and gets to the real issues in a case." As a Chartered Arbitrator and Chartered Quantity Surveyor, Stuart Kennedy has vast experience in the construction industry. He handles domestic and international construction and engineering disputes as counsel, arbitrator, adjudicator or mediator. Stuart Kennedy, Head of the technology and construction law group at 3PB, he acts in construction-related disputes in a wide variety of different jurisdictions. Stuart Kennedy is recommended by the Legal 500 Bar Directory 2017/Construction - leading juniors. Stuart Kennedy is recommended by the Legal 500 Bar Directory 2016/Construction - leading juniors. Stuart Kennedy - Measured and pragmatic. Stuart Kennedy - Knows construction inside out.